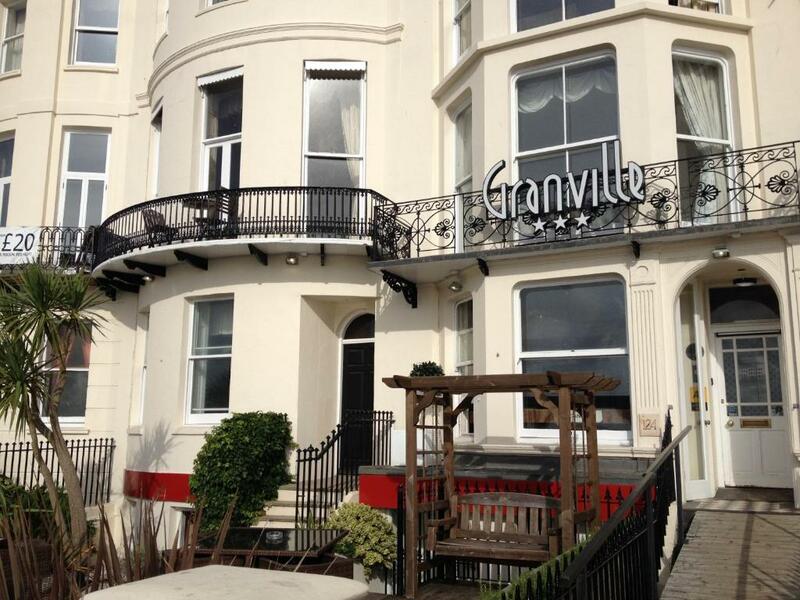 Lock in a great price for Granville Hotel – rated 8.6 by recent guests! 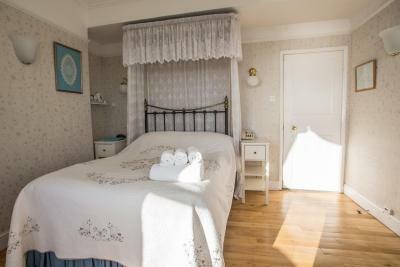 Great location, cozy room (recommend room with sea view - the view from the bed was just stunning), very generous and delicious breakfast that they cook by order. The building is rather old and the decor feels royal. 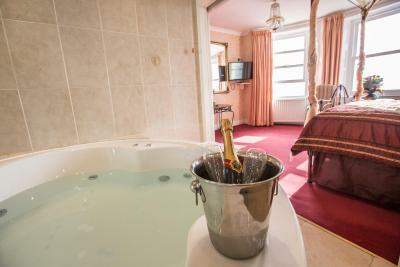 Big fan of the jacuzzi bath in the bedroom, we had a lot of fun in that especially after a few drinks, and the location was perfect, wherever we were we were just a short walk from the hotel. Very nice staff, great location, excellent breakfast! 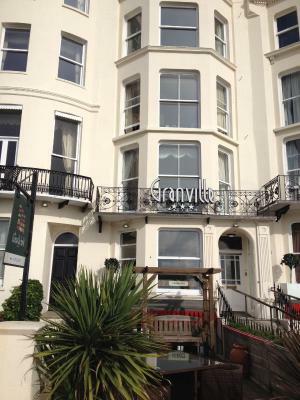 Granville Hotel This rating is a reflection of how the property compares to the industry standard when it comes to price, facilities and services available. It's based on a self-evaluation by the property. Use this rating to help choose your stay! 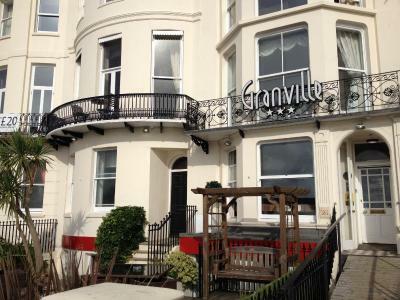 Located on the seafront opposite Brighton's historic West Pier, The Granville is a boutique hotel with 24 eclectic bespoke rooms, individually themed from Minimalist to Art Deco, Japanese and Gothic. 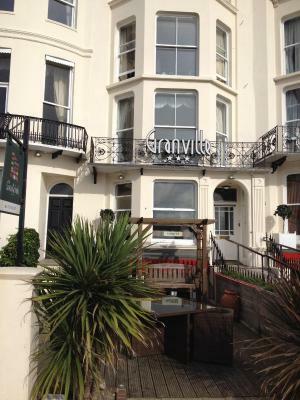 The Granville Hotel is just a 5-minute walk from shops restaurants and on the doorstep of many clubs. 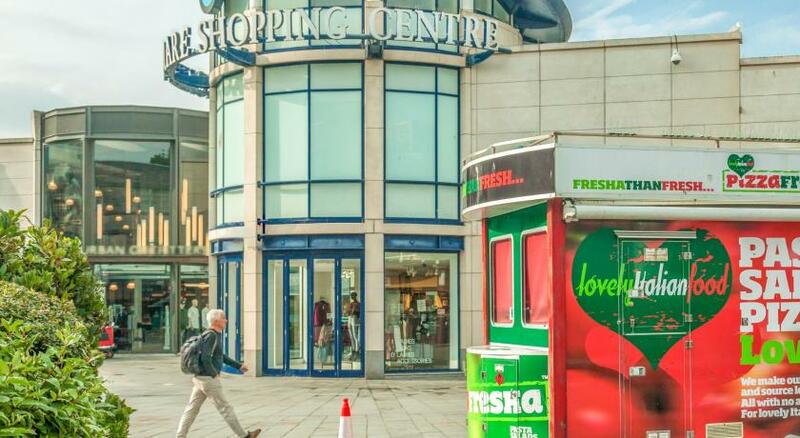 Brighton Train Station is a 10-minute walk away. 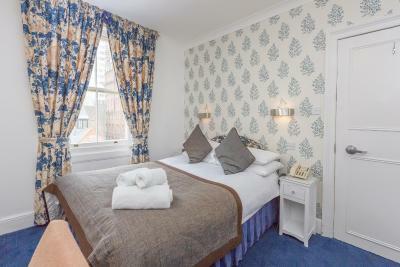 Near to the Granville Hotel are Brighton Beach, The Royal Pavilion with its beautiful gardens, the Brighton Dome, the North Laine and Lanes shopping areas as well as the Churchill Square Shopping Center. 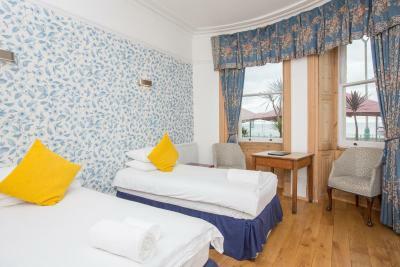 All of the rooms are furnished with a TV and some have DVD/CD player. 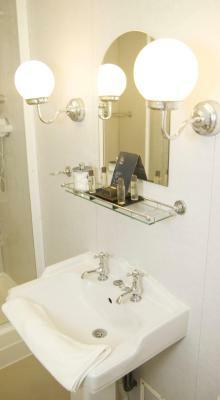 Complimentary broadband wireless internet access is available in all rooms. 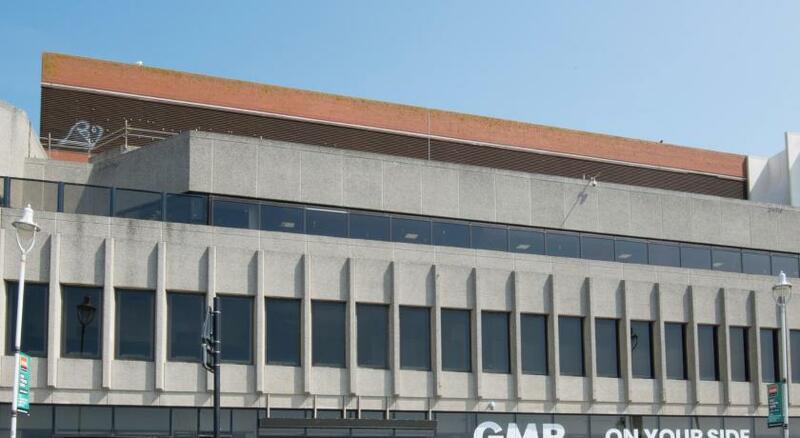 On the lower ground floor there is a beautiful restaurant & bar which is affiliated to the hotel, offering a selection of international dishes. During the warmer months, guests can enjoy al fresco dining on the Summer Terrace. 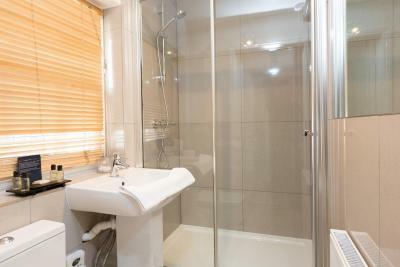 Features private bathrooms, desk, and TV. 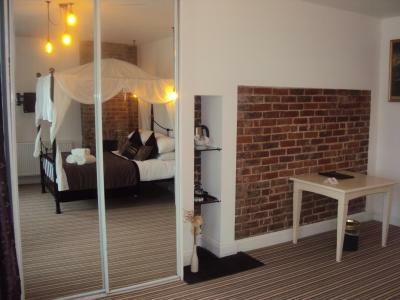 This standard room is located at the rear of the hotel. 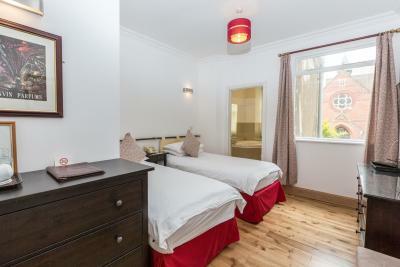 Standard rooms with twin beds. 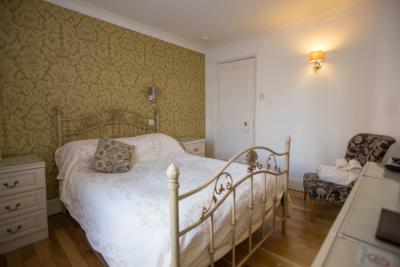 Can also be a double room, on request. 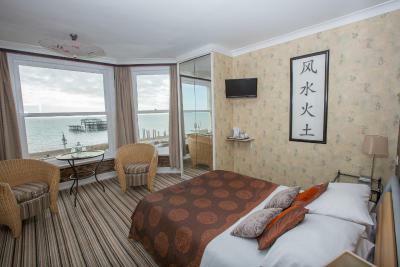 Superior room with a spa bath and wonderful sea views. 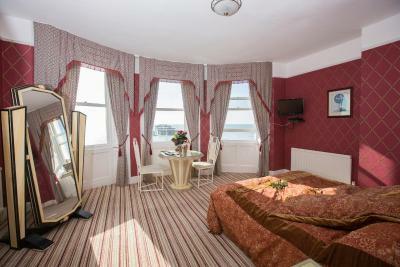 With wonderful sea views and some also have a spa bath (contact hotel direct to confirm). 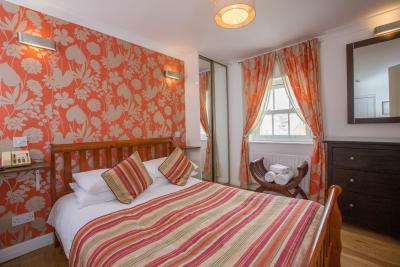 On Saturdays and public holidays, rooms are available for a minimum 2-night stay only. 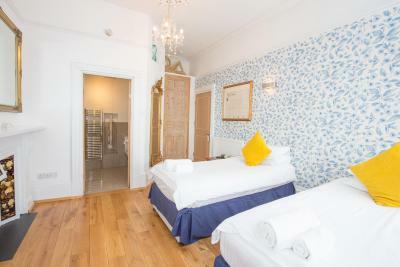 All bookings of 3 or more rooms are considered by the hotel to be a group. When booking more than 3 rooms, different policies and additional supplements may apply. Location. View of the sea. Excellent bath, made the trip. Far too loud. Heard everyone coming and leaving as we were immediately above the front entrance. Heard every conversation held above and below the room we were in. Sleep was difficult on the first day, as people were having a party immediately outside the room. Didn’t quiet down until 1.47am. Was extremely unhappy as had to attend a wedding the same morning and was exhausted after a long journey. 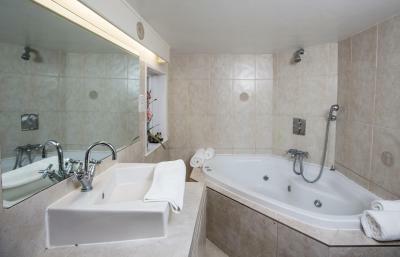 I understand the hotel is 3 star, but after reading the reviews and looking at pictures we were sure we’d have a pleasant stay and did not hesitate when the opportunity came to upgrade the room to „spa bath“. Unfortunately, lack of attention to detail. There is a difference between vintage/quirky and tatty. Hallway and Room smelt musty upon arrival, so had window open most of time. 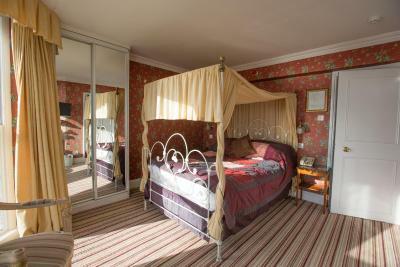 Lace curtains above bed were dirty and dusty, had to tie it away from bed as aggravated my allergies. 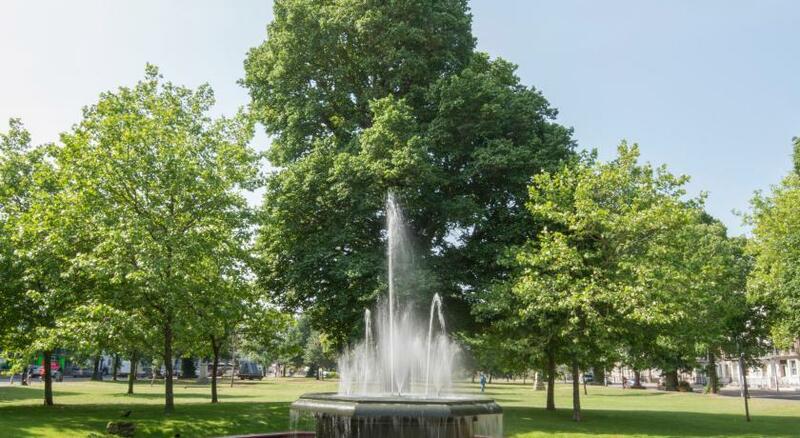 😞 bath was not „elderly“ visitors friendly. 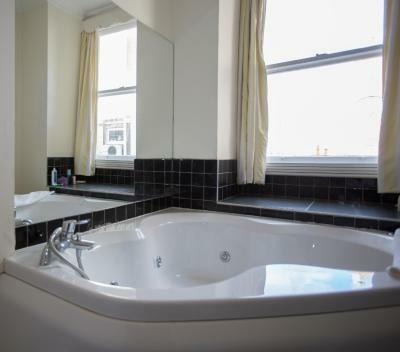 Making it a struggle to get in and out of bath. 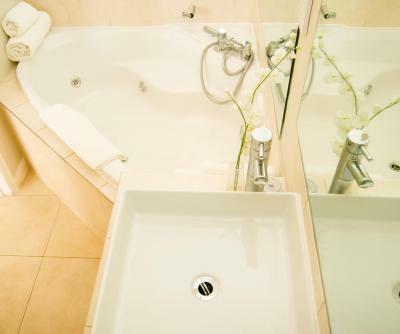 Bath did not have original plug allowing water to escape if using spa jets. Towels were fraying. Dirty cloths left on chair in room. The wallpaper was dirty and peeling off the walls. 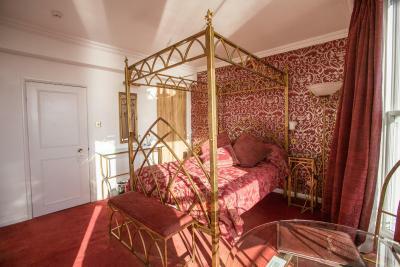 The bed linen, covering the divan, was ripped in places and smelt musty. My allergies flared up due to room not being dusted properly. Corners of room had dust sat in them. The chairs in room were filled with feather so I could not sit on them (allergies again) had to sit on the floor or on the bed. Extractor Fan in bathroom had not been cleaned in a while. People „hanging out“ on balcony next to our room on both sides looking into our room = lack of privacy. Had to keep curtain closed most of the time on a beautiful sunny morning. So ultimately, the price was too high for what we received. For the price and upgrade we paid we expected just that little bit extra. 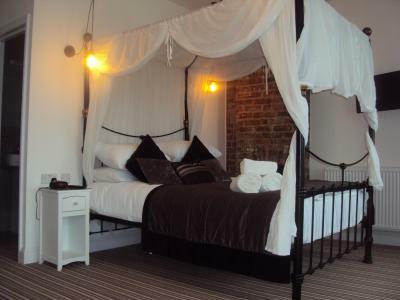 I think if we had paid the standard price it would have changed the whole sentiment of our stay. 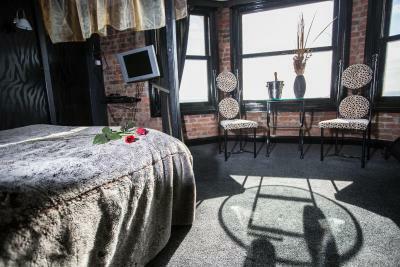 Location was excellent and view from room was lovely! Staff were exceptionally friendly! Went above and beyond to make sure we were happy and the service at Smokey‘s was impeccable. Room too hot. 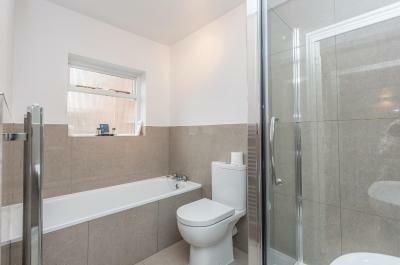 Toilet not clean. 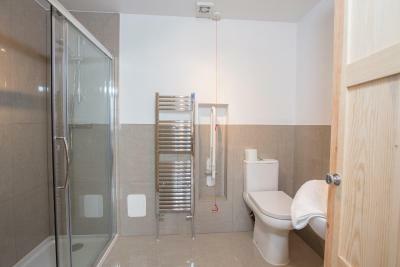 No repleniment if tea/coffee toilet roll ect. The lift was convenient to use but quite scary as it would jolt when it started moving. The space to move around the bed was a bit limited on one side, so you either had to slither your way around it or just go over the bed. We were given a spa bath as per our request but it half worked as one of the sides was did not have much pressure in the jets. 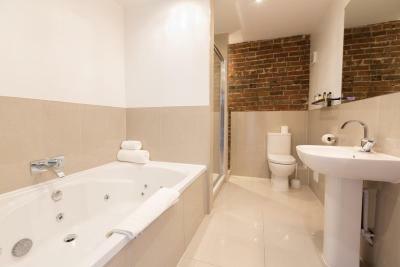 The bath itself had paint marks in it but it would overall provide a very good sized bath. It was great to have the breakfast included but the restaurant making it might not be to everyone's taste. 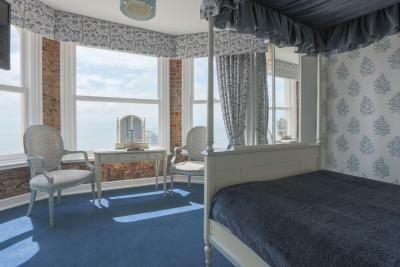 The location was great and the view from the room was nice (especially if you like the BA i360). The decor of our room, which was the Japanese room, was also lovely and gave s fun vibe to the room. The staff was very nice and helpful, same goes for the staff at Smokey's where breakfast is provided and a discount is available for guests. 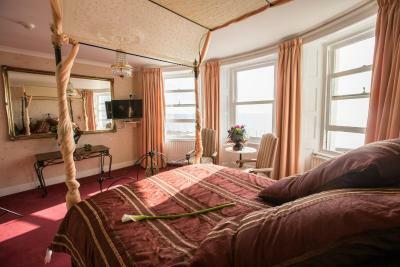 The bed was uncomfortable and creaked loudly which meant we both had pretty poor sleep ahead of a long day sightseeing in Brighton. Less of a problem but still not ideal was the shower: low powered and not enough room to stand up straight, so a bit awkward. Would also prefer it if luggage storage was more secure, there was no tagging system and luggage is kept in plain view in reception. 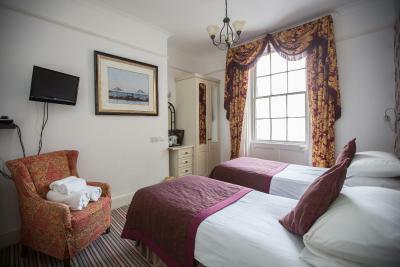 Friendly and considerate staff and the property, whilst older, had character and a certain quirky British seaside charm. 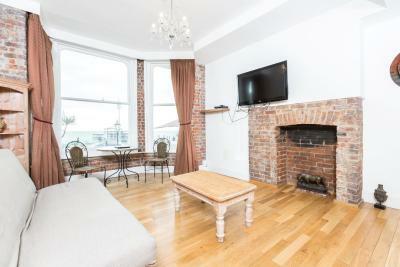 Less than 5 minutes walk to The Brighton Center and 10 minutes to the pier. Spa bath was wonderful to come back and relax in after a very long day out at a conference. Maid didn't clean bath, we had to do it. Breakfast.proximity to centre. Nearby parking. 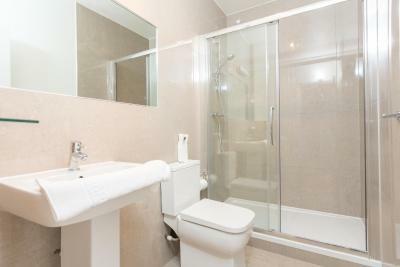 The shower was very underpowered which was a shame as the rest of the bathroom was lovely. 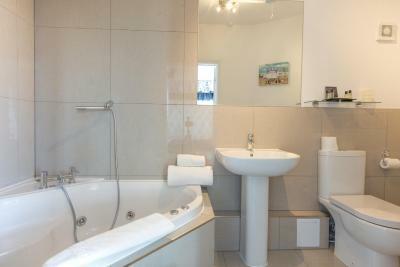 Lovely room and bathroom, room was very clean and staff very welcoming. Breakfast was also outstanding with great service. 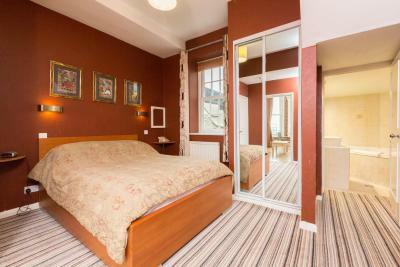 spacious and interesting room. great location. 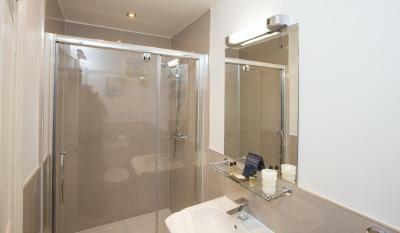 hotel provided with great recommendation for restaurants and places to visit. Staircase & corridor showed faded glory & room small but fine for one night. Delicious breakfast, excellent choice & included in price. Excellent shower. 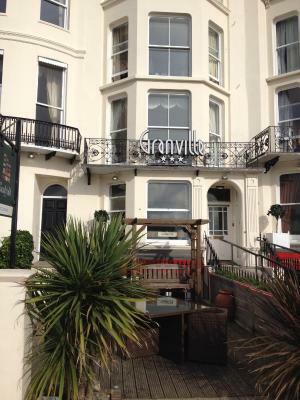 This is a lovely little hotel, the staff were wonderful and really looked after us. I really liked that there was lots of useful local information in the room and some history about the property, which although it’s in very good condition retains its original features, including a beautiful fireplace.